Chicken lettuce wraps aren't the most unusual things, they are actually quite common these days. My main problem for eating them at restaurants is the mushrooms. Being allergic, this is one of those dishes that I have recreated at home, mushroom-free. It's my own original combination. It's what I like together. If it tastes like some famous restaurant, it's purely by accident. 1. In a medium hot frying pan, heat oil. Add chicken, season to taste with pepper, and cook until golden brown and cooked through. 2. 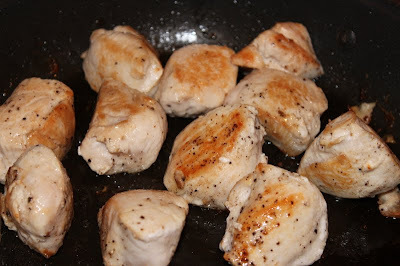 Transfer chicken to a bowl and set aside. Add chopped onion and carrot to the same hot pan. 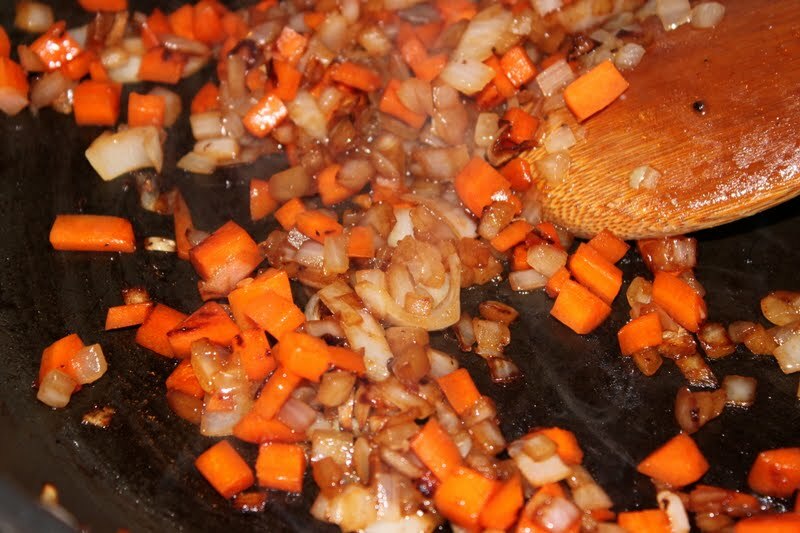 Cook over medium-high heat until softened and onions are a nice caramel brown. You can chop the chicken into tiny pieces or leave it alone. I chopped mine. 3. Add sake, soy sauce, hoisin sauce, and chicken back to pan. Use a microplane grater to grate about 1/2 teaspoon of the fresh ginger directly into the pan. I just eyeballed this so you can use more or less ginger to taste. 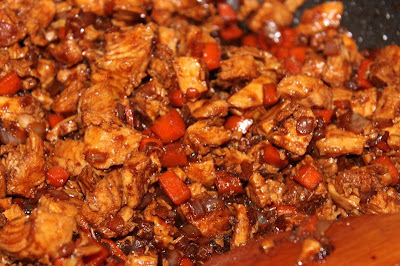 Stir and cook until the sauce coats the chicken evenly. Remove from heat. Let it cool down a bit. If you use it too warm, the lettuce will wilt and get gross. 4. 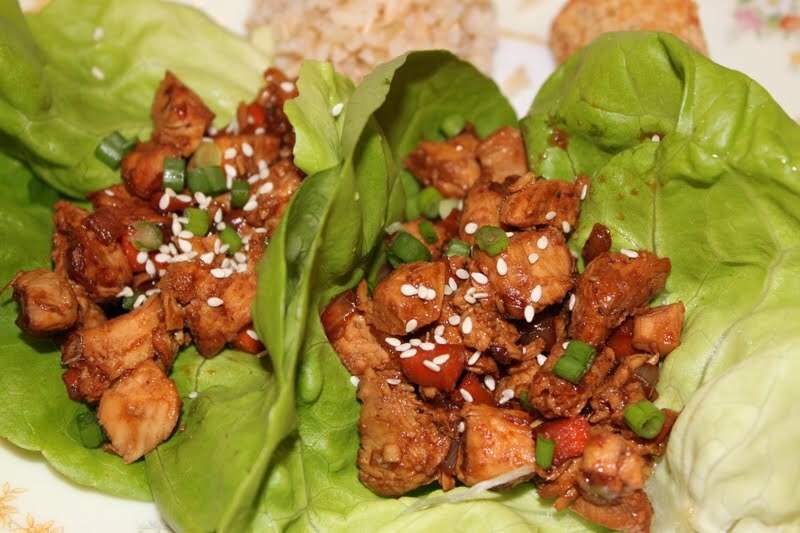 Fill a lettuce leaf with about 1/4 cup chicken mixture. Use any variety of lettuce that you like. I used butter lettuce here. The texture was very velvety instead of crisp. 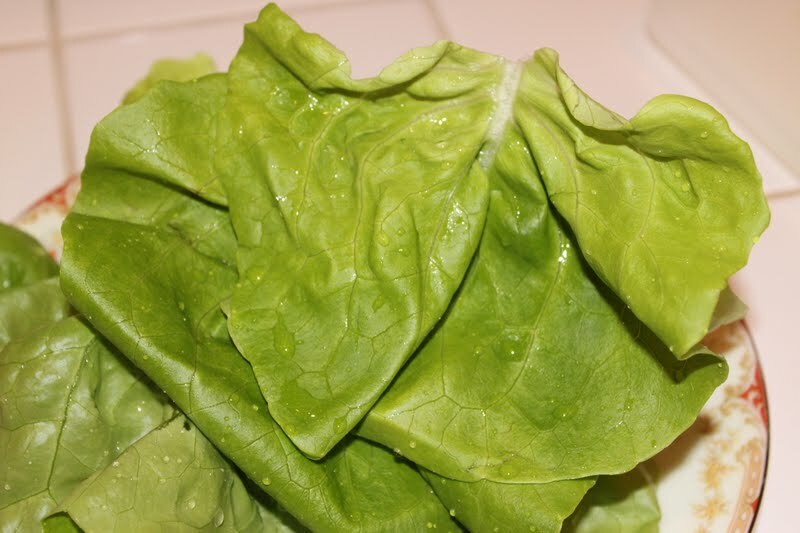 If you like crisp, try romaine or a leaf lettuce. Sprinkle chopped green onion, sesame seeds, and small pieces of cellophane noodles (if you're using them) on top of the chicken. Serve. This makes a nice appetizer. You can make up a bunch of filled leaves and serve on a platter. 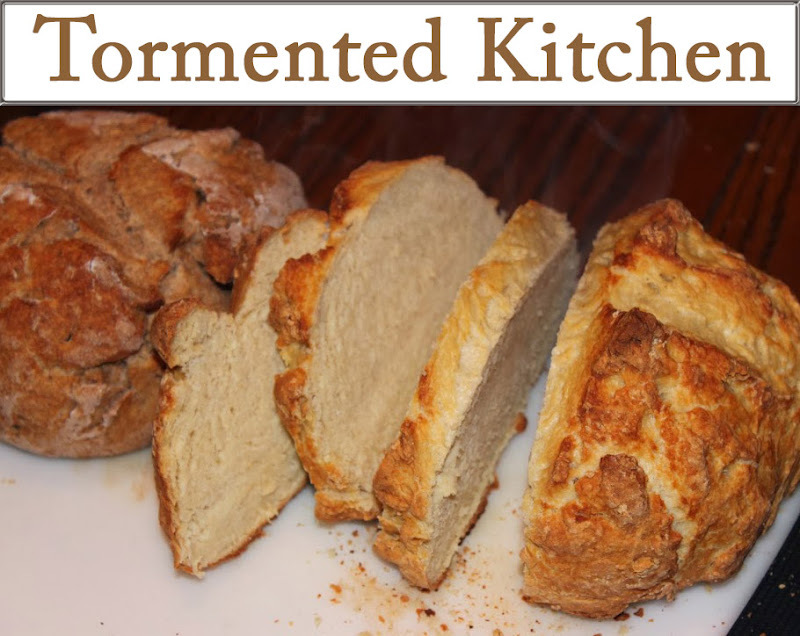 You can also add this to a simple dinner like steamed rice, eggrolls, potstickers, or an entree like Broccoli Beef. For this meal, I made eggrolls and steamed brown jasmine rice (found in the bulk bins at Whole Foods). P.S. If you totally love mushrooms and want to add them, I won't mind. Leave a comment and let me know how they turned out.